French windows and doors first became popular in the 17th century as Renaissance architects fell in love with symmetry and proportionality. Today, they are a popular choice in many America homes and are used in home interiors and to frame our homes too. French windows and doors are often characterized by elaborate designs and their ability to let in large amounts of light into a room. This makes them a home window tinting challenge that can only be tackled correctly by the best in the business. Before installing window tinting and film to your French windows and doors it is important to weigh all your options. Here we discuss four things to consider before installing film on French windows and doors. There are a number of factors that determine how long it will take to install window film or tinting. These include the size of the glass that is to be covered and the type of tint or film to be installed. Installing film onto French windows or doors can be a timely event. Unlike standard windows and doors, French windows and doors have individual panels separating the glass, requiring individually cut film that is installed onto each glass division, increasing the installation time. If you are planning on installing window tint onto your French windows or doors, be sure to make provision for extended installation time. Installing window tinting onto French windows and doors can take longer than clear glass or windows, as a result installation costs can increase too. The longer installation takes, the longer the labor time and the higher the installation cost. When choosing an installation company, be sure to make an appointment and ask for clarity on the process and costs before installation takes place. Many consumers are caught out by hidden costs because they were unaware of the installation company’s charges. Don’t be caught off guard, choosing a window film installation company that is transparent about their pricing. When choosing window film for your French doors or windows, there are wide range of options available, all depending on the purpose of tinting and the style you want your home to take on. It is best to choose something that you can find joy in for a long time, because high quality window film can last a lifetime with proper care. As window film installation onto French windows and doors does have a longer installation time, you should choose quality film that does not need frequent replacing and will not fade quickly. High quality window film can protect your family and furniture and also comes in a wide range of patterns and designs that can meet all your aesthetic desires. Installing window film onto French windows and doors is a complex activity that does not have much room for error. An incorrect installation could cause extensive damage to your French windows and doors as the wooden partitions could experience water damage if the installer is not careful. To protect your wallet and windows, choose a company with experienced window film installers. Doing your homework by checking the company’s website and social media is an ideal way to find out what the company is most experienced in and if they have a proven track record. 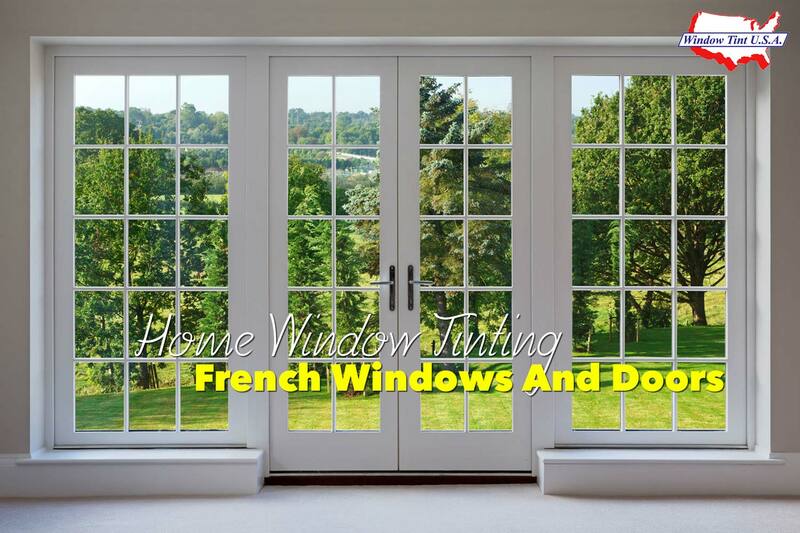 If you are interested in for your home’s French windows and doors, feel free to contact Window Tint USA in Pompano Beach. We offer a wide range of window installation services and our professional, experienced window film technicians would gladly assist you with all your installation needs. Window Tint USA specializes in home window tinting using high-quality 3M premium window films.